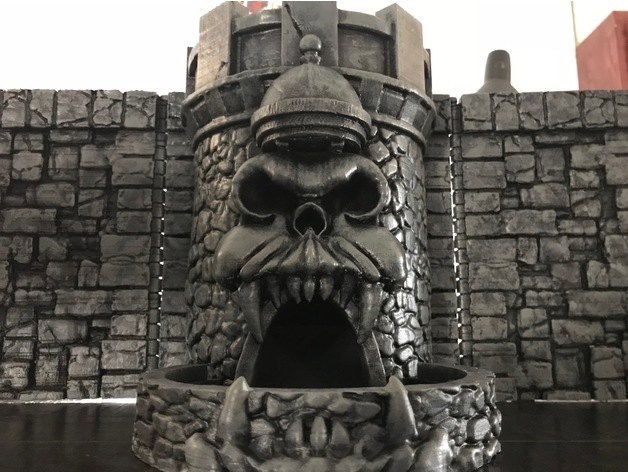 Castle Grayskull inspired DM Screen / Dice Tower #3DThursday #3DPrinting « Adafruit Industries – Makers, hackers, artists, designers and engineers! This is a remix of several different models. Please let me know what you think! I printed it using the Creality CR-10S which explains the scale. I did a minimal amount of sanding/filling before I painted it. *If you print the version without connectors, you could always use a piano type hinge to connect them. Or possibly leather/fabric strips. *Gluing some felt to the bottom of the dice tray helps deaden the sound and also slows down the dice.